It’s been a funny few years for folk music, or at least folk music in the mainstream. Flash back five years to the launch of Mumford & Son’s debut album and folk was everywhere. You couldn’t move for the acoustic guitars, flowers in your hair, long flowing dresses and vegan chocolate brownies. The likes of Laura Marling, Noah and The Whale, and Emmy The Great were all effortlessly treading the line of credibility and commercial success. Folk was booming and for probably the first time ever, it was even vaguely cool. Step back to the present and it’s very clear that boom is over; Noah and The Whale disappeared into a Bruce Springsteen tribute act, Emmy The Great’s gone all minimal-electro and even Laura Marling, the most convincingly folk of the lot is plugging in her electric guitars. What exactly happened? Why did the bubble burst? We’d love to tell you it was all Mumford & Son’s fault, but in reality it was never going to last. Like anything that’s vaguely tinged in nostalgia, the mainstream folk cross-over was never going to last. When Ed Sheeran picked up an acoustic guitar and the line between folk and pop became so blurred they were indistinguishable, it was the slow drip of needles onto a flimsy over expanded bubble. It burst, and now folk is probably about as uncool as it’s ever been. It’s wrongly tarnished as the music of spoilt rich kids and the liberal-elite. A recent Spotify survey threw up the unsurprising results of folk being most popular in prosperous university towns, just adding to the feeling that what was once the music of the masses has become the music of the privileged few. Folk’s day in the sun may have passed, but it remains alive beneath the main stream, and it’s influence stretches itself across pretty much all the music that reaches our ears. Folk music is our tradition and our history and it will be a part of our culture for a long while yet. Though they’ve never really been away it’s been four years since the last studio album by The Unthanks. Their last album, entitled Last, was their fourth album, and whilst it might not have caused the seismic critical reaction of their second album, the mercury nominated The Bairns, it was still almost universally acclaimed. One of the more memorable comments came from Uncut who wrote “The Unthanks seem to regard folk music the same way Miles Davis regarded jazz: as a launch pad for exploring wider possibilities” if Last was an ambitious record, their fifth effort Mount The Air makes it sound almost run of the mill. Starting with the ten minute plus epic that is the title track, it’s clear that The Unthanks influences have now reached far beyond their trad-folk roots. Written by Rachel’s husband Adrian McNally, who is increasingly becoming the main song-writer and arranger in the band. Starting with a gentle build of harp, strings and a gorgeous smoky trumpet, it’s got more in common with the work of Clifford Brown or Miles Davis than it has Richard Thompson. It’s a track awash with beautiful textures of sound, stabs of piano, swells of strings and gentle rushes of percussion. It’s clear they’ve changed from the band of old, where once they relied heavily on the stunning vocals of the Unthank sisters, now they’re allowing the music to carry its share of the burden of the tale. The song gently builds over it’s ten and a half minutes to something resembling a crescendo, the closing few minutes are quite remarkably anthemic and bold, with the the long trumpet notes, swirling violins and emphasis on percussion it sounds a lot like Hope Of The States or Arcade Fire, something you couldn’t possibly say about the bands earlier output, it’s a track that is spectacularly un-folkish! It’s clear that those four years away have not been wasted, the band have been very busy indeed. They’ve been collaborating and they’ve been learning. They’ve worked with Orbital, with Adrian Utley of Portishead and perhaps most importantly Martin Green of Lau, because it is Lau that this album perhaps most resembles. Yes there are strong folk influences, but like Lau here they are not afraid to step well out of their comfort zone, and to stretch a genre that’s so rooted in tradition in bold and exciting new directions. Not that it’s just been four years of working with other people, they’ve also found time to produce a film soundtrack, a brass band commission with the National Champions, a WW1 Project in collaboration with current darling of the folk scene Sam Lee, live albums focusing entirely on covers of first Robert Wyatt and then Antony & The Johnsons, a collection of children’s songs as well as Rachel and Adrian having two children and Becky getting married. Now that’s an impressive collection of excuses for not getting your album finished very quickly! The huge changes in life circumstances has also been mirrored in the release of this album. Whilst Last was released in collaboration with EMI Records, here the band have decided to return to their own RabelRouser label; apparently despite the interest of major labels, it appears to be a creative and lifestyle choice, a nice position for a band to be in, and increasingly a realistic option for a band with a strong following. The album was made in the bands own recording studio, a converted granary building just 200 yards from their home; whilst creating your own studio is a luxury to many, it’s an almost necessity when you have two young children and both parents are in the band. 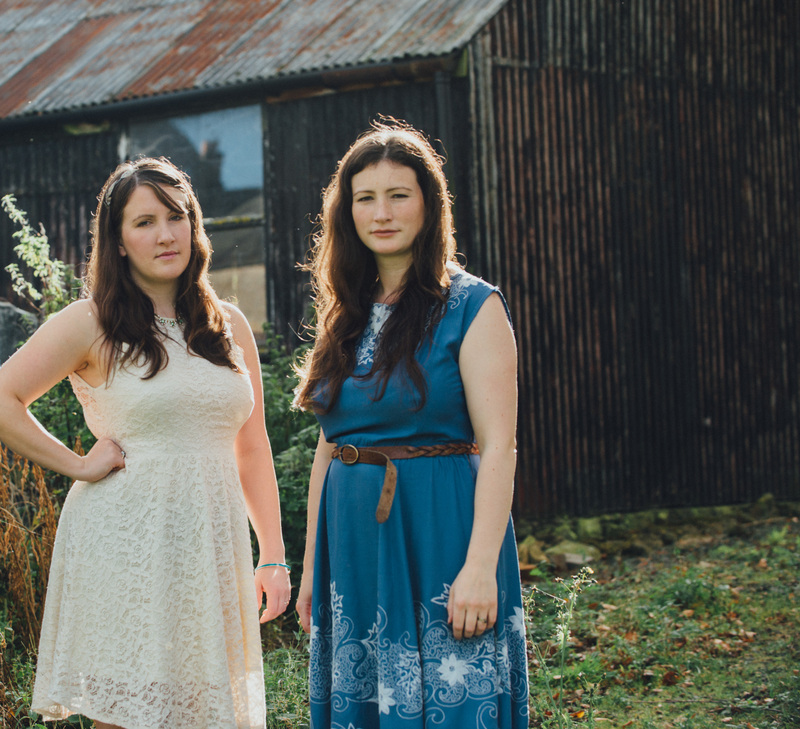 If it’s album born out of practicality it is anything but safe, The Unthanks could churn out folk standards and make Radio 2 very happy, but they’re far more ambitious than that. At times the ambition and scope doesn’t sit well with their less inventive offerings. Take the second track Madam, which offsets a rich, clear and unquestionably lovely vocal, with a gentle piano accompaniment, it’s pleasant, atmospheric and highly competent, but after a track like Mount The Air, it sounds a tad bland, old fashioned, even a bit irrelevant. With its lyrics resplendent with references to “handsome men out of fashion” trees, and meadows, it’s all a bit too uninspired; having shown they can be so original it’s anything but. Magpie too is unquestionably beautiful, the stunning three part harmonies are a wonderous thing, and with only the gentle buzz of a harmonium below it’s probably the best they’ve ever sounded, but repeating the old “one for sorrow, two for joy” tale, just leaves the track a little flat. It’s harsh to criticise them for not living up to their own brilliance, but when you know how good they can be, you just want to see them push themselves, and continue to plough new furrows, and on an album that clocks in at over an hour there was plenty of scope to just miss them out all together. Those minor criticisms aside there’s so much to love on this record. Died For Love, is a harrowing tale of a child lost before birth, possibly in child birth itself, it see’s them taking the role of a mother wishing it was her “dead and in my grave, with the green grass growing all over me”. It’s beautifully performed, the vocal carrying a heavy emotive weight and it’s just a wonderful piece of music. Flutter is probably the least Unthanks moment here, the collective effort of Becky Unthanks words and vocal and Adrian McNally’s instrumental setting, it sets a bell-like Rhodes piano, with gentle pulses of synths and rapid flashes of drums, and the result is a track that sounds not unlike Portishead, and undeniably trip-hopish; the vocals rather than being a classic folkish tale are more ambiguous and hazy, the delivery is absolutely beautiful, a breathy, hairs on the back of the neck moment, “no more darkness, feeling hazy, getting better, life’s a flutter” Becky sings, the whole thing is a tremendous departure and shows just how far removed they’ve become from the general opinion of a traditional folk band. The albums centre piece, the two related pieces Foundling and Golden Slumber, comprise something that sounds not unlike a folk-opera version of Oliver Twist. It’s entirely Dickensian with its references to orphans, foundlings and Hogarth. It’s perhaps a little hammy and over long, but it’s adventurous and it’s a good story you want to know how it works out and we wont spoil the tale here, but there’s certainly more to the story of this “virtueless mother” who “cast you away like Moses” than you’re initially led to believe. The wonderfully collaborative effort The Unthanks have become see’s a number of members taking their share of song-writing duties, fiddle player Niopha Keegan’s effort, For Dad, a tribute to her late father who even fits in a guest appearance at the start of the song, is a classic instrumental folk lament, built perhaps unsurprisingly around a beautiful bit of violin playing. It’s a sombre, but powerful piece of music, that shows the ability of an instrument to carry an emotional weight. The closing pair of tracks are a delight, and well worth the wait despite the albums inflated length. Poor Stranger is reminiscent of Joanna Newsom, it’s simplistic, almost childish piano line, accompanying a tale of “false hearted lovers” who will “bring you to your grave.” Possibly the best though is saved for the albums closing track, Waiting, it’s here the influence of Lau and even their fellow North-Easterners Field Music really shines through, a eccentric instrumental number playing a chord organ off against violins and latterly some superb percussive, it creates a beautifully complex and hypnotic whole, which whilst a rather odd way to end an album is still a magnificent piece of music. A long while in the making, it’s an album that perhaps bares the signs of a difficult recording process. At times there’s the feeling of a trade off between what’s worked before, and what’s exciting the band now. They’re pushing into new ground, but still occasionally want to root themselves in their previous way of doing things. It unquestionably contains some of their finest moments, but still it hints at even more to come. They’ve crafted the best songs of their career to date, and with a slightly more ruthless and brave approach to editing they’d have made the best album of their career too, but that, to our ears at least is still to come, this is a band stretching their wings, the next album might well see them soar.